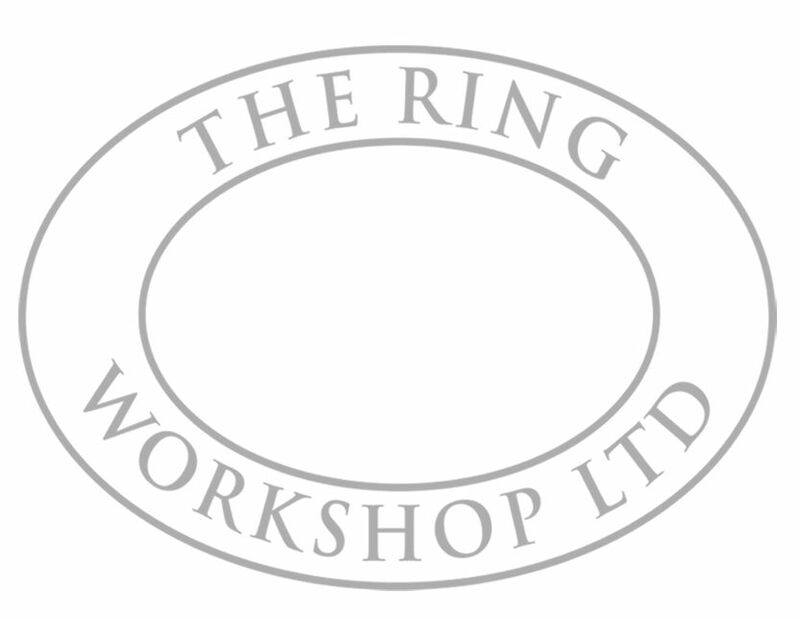 We assess your engagement ring and discuss your requirements. The configuration, proportions and materials of the engagement ring will influence the wedding ring and this will give us an opportunity to discuss your requirements and evaluate the numerous avalible options. We scan the engagement ring and produce an accurate 3D model. The 3D model of the engagement ring is used to create a rendered image of the fitted wedding ring matching your chosen specification. At this stage modifications and adjustments of the piece are easy to accommodate as the modelling software allows 'fine tuning' of the design. Once the rendered model of the wedding ring is approved, we forward the CAD files to Weston Beamor, a modelling company equipped with the latest liquid resin laser printer, to produce a 3D 'Viper' resin model of the ring. The resin model is a physical ring (similar to a wax prototype) and can be viewed with the engagement band for your approval. Having approved the 'Viper' resin, we cast the ring in your chosen precious metal. Centrifugal casting machines are used to eliminate porosity (air bubbles) in the cast. The piece is then hallmarked and hand finished to ensure a flawless result. The finished piece is available for delivery, usually within 4 weeks. We'll always offer to refinish (clean, polish and when necesserary, rhodium plate) your engagement ring as a complimentary service to ensure your rings look perfect for your big day!